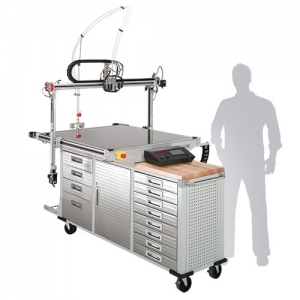 3D Platform Workbench – 3D Rapid Prototyping, Inc. 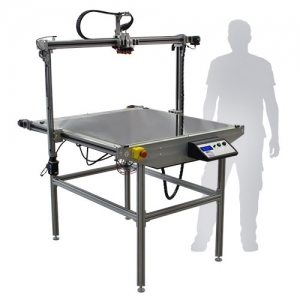 The 100 Series WorkTable large scale 3D printer features the same build area size and mechanical features as the Workbench Classic. 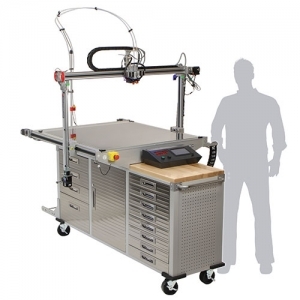 It is designed for smaller businesses, schools, and entry-level designers looking to implement large-format, industrial strength 3D printing into their projects. Print larger parts at faster rates with the 200 Series Workbench Classic large scale 3D printer. 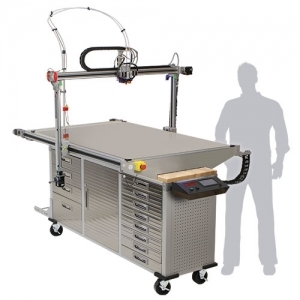 Overall, this classic printer features auto-mesh bed leveling, SurePrint Step-Servo hybrid motors, and duel electronics with remote operating and monitoring capabilities. The 300 Series WorkbenchPro is a Fused Filament Fabrication (FFF) additive manufacturing system with a large 1 m x 1 m x 0.7 m build area. Therefore, its industrial strength mechatronics deliver superior performance and reliability. Further, with SIMO Series actuators and Constant Force™ anti-backlash lead screws and nuts, the WorkbenchPro provides a rugged, industrial framework that won’t let you down. Additionally, the 3DP WorkbenchPro large scale 3D printer delivers 40% more build volume and up to 16x faster print rates with its unique features. For customized, full-scale printing capabilities that accelerate time from ideation to application at an affordable price, the WorkSeries 400 (Workbench Xtreme) is the only large scale 3D printer that has been engineered from the ground-up. Most importantly, the unique, parametric design can be easily adjusted to match the needs of our customers.